Advanced Boot Options menu gives you access to troubleshooting modes: Safe Mode, Safe Mode with Networking, Disable Automatic Restart on system failure, and Disable Driver Signature Enforcement. You also have access to: Start Windows Normally, and Repair Your Computer. The steps below will walk you through accessing the advanced boot menu and provides details on what is mode can be used for. Connect a USB keyboard to your terminal. Note: In this environment you will not be able to use your touch screen or mouse. You will need to use the keyboard arrow keys to navigate and the enter key to make a selection. Power on your terminal and repeatedly tap the F8 key. This will bring up the Advanced Boot Options menu. 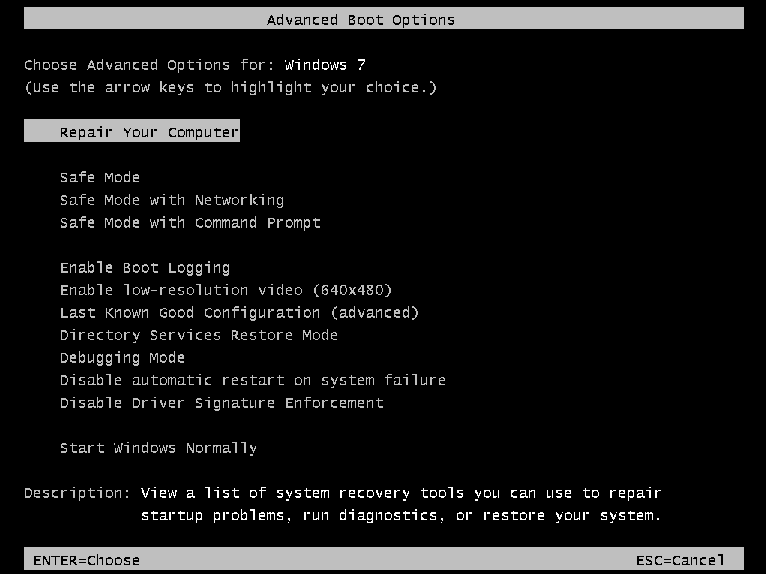 Safe Mode – This option will be useful if you are unable to boot into Windows normally. This could be caused by a corrupt file or driver, as well as the incorrect drivers installed. Safe Mode will load only the essential drivers required for windows to boot. This will be useful to uninstall a driver that maybe preventing Windows from booting normally. Safe Mode with Networking – This option is similar to the Safe Mode option however it will also load networking drivers so that you will be able to connect to the internet and your network. 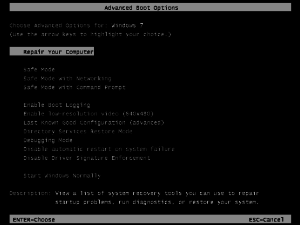 Disable automatic restart on system failure – This option is useful if you are getting a BSoD and your computer is restarting before you can see or read the BSoD error message. Disable Driver Signature Enforcement – This option will let you override Microsoft’s decision to only used drivers that have been signed. Start Windows Normally – This option is very important. If the unit wasn’t shutting down properly; either the power button was held down for too long or the power cord was unplugged, this will cause the computer to boot into this menu. In these cases you will be able to select start windows normally and you will be able to boot into windows without a problem. Repair your Computer – If your OS was installed by POS-X you will most likely have our recovery partition. If you select this option you can do a system restore. This will delete all data on your hard drive and will bring the hard drive to a factory fresh state.